Join a Group and visit the Bullring, the Macarena Basilica and enjoy a River Cruise and a Sightseeing Tour, including: Guide, Tickets and Transport. Departure: DAILY (Except 25th of December & 1st of January). 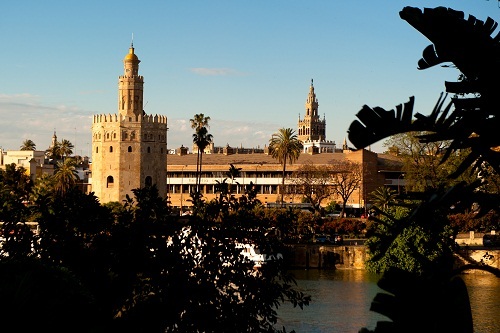 Pick up point: Pick-up at your hotel in Seville city between or meeting point assigned by the agency. Pick up time: 3:30 pm - 4:00 pm. 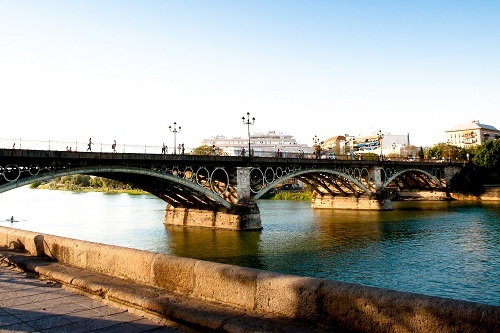 The excursion starts with a sightseeing tour in minibus across the famous Isabel II Bridge to discover the neighbourhood of Triana, the old sailors and potters’ neighbourhood, where you will see San Jorge’s Castle, built in the 10th Century. 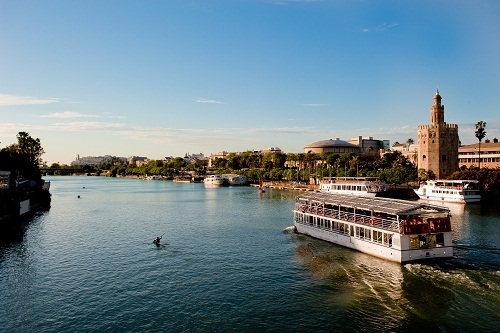 At in muelle de la Sal’ (Salt Wharf), just like the sailors of old, we will take a beautiful boat trip which will bring us to a past of wonderful buildings and bridges along the banks of the River Guadalquivir. We will then continue towards the Monastery of the Cartuja, where for three years the great Christopher Columbus planned his trip towards the unknown, the New World. 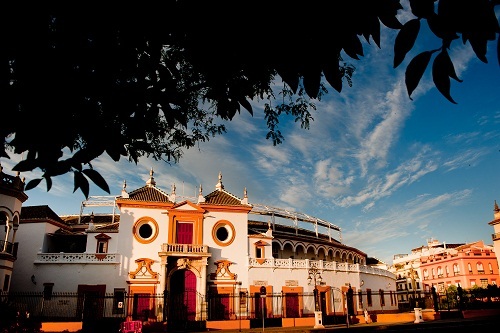 The trip will end with a tour of the Bullring of the Real Maestranza, considered to be the bullring with the greatest bullfighting tradition in Spain and also the Bullfighting Museum. Return Point & Time: Drop-Off in your hotel in Seville city center between or meeting point assigned by the agency / The tour will finish at 6:30 pm approx. Tour group size: 30 people max. Guide languages: Spanish, English & French. Note: Children price: From 0-5 years Free / 6-11 years 50% discount.